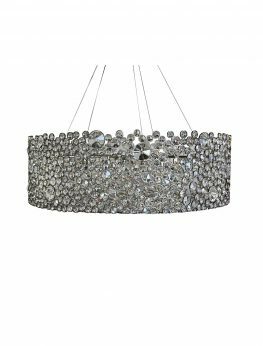 This breathtaking, elegant chandelier brings the most incredible design and details through the most magnificent and lush crystals that are the main part of this unforgettable piece. 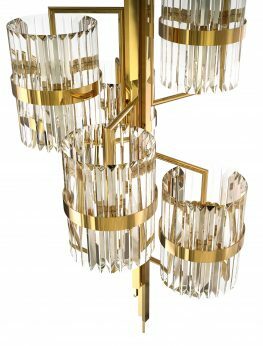 Indulge in the most exquisite , luxurious illumination with this beautifully designed object. 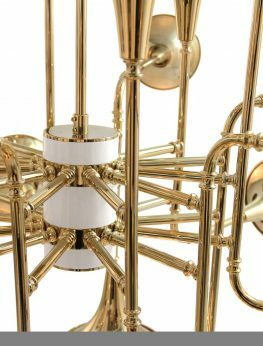 Like an orchestra, BOTTI embodies all the details of wind instruments and transports us to a music concert. 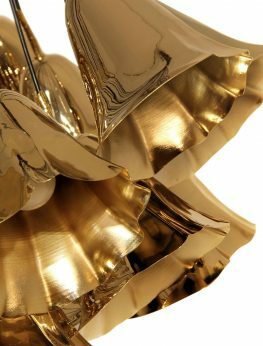 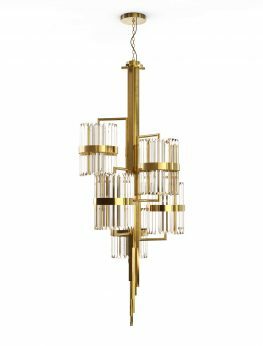 Its structure is handmade in brass and gently covered by a golden mantle, a monumental piece which shows the exquisite capacity of skilled artisans. 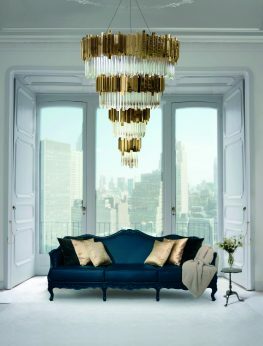 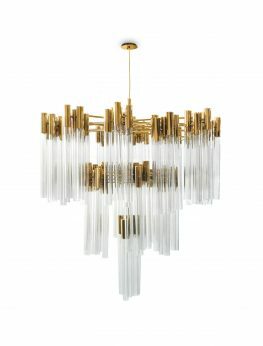 The elegant silhouette of this chandelier takes its brilliance from the skillful application of the crystals. 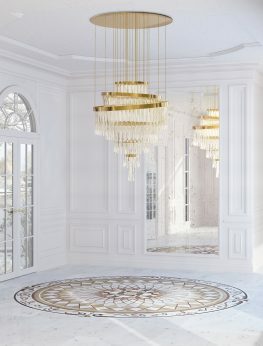 The eternal circles are individually wrapped in polished brass and placed with astonishing attention to detail. 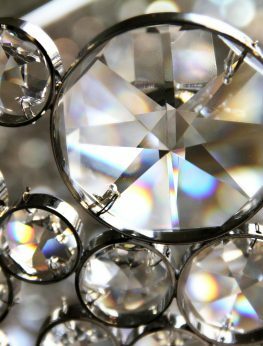 The end result is an extraordinary source of light that illuminates and dazzles. 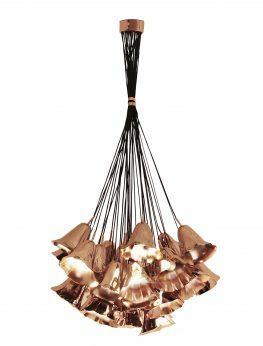 Imagine a delicate bouquet of flowers gracing your ceiling… The Gia chandelier consists of hand-sculpted polished brass calla lilies tied by a simple string. 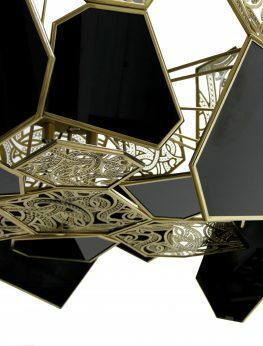 A truly beautiful, organic piece that attracts attention and illuminates. 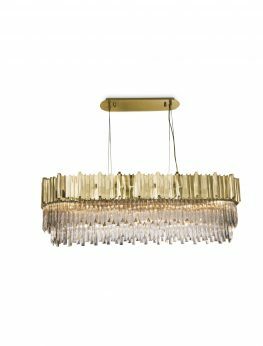 Hanna is a vintage suspension fixture which compliments a living room perfectly. 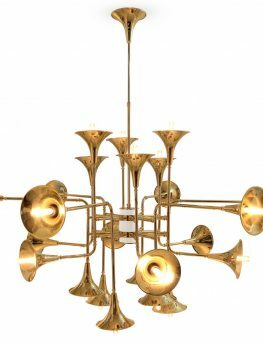 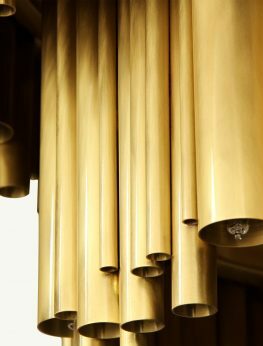 Its structure made out of brass is a great addition to a classical ambiance. 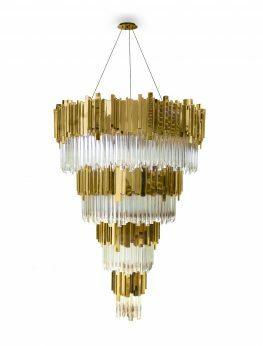 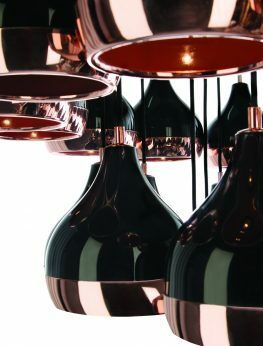 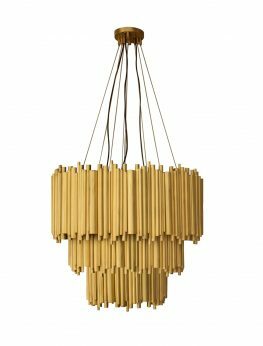 This magnificent pendant lamp is elegantly composed of lampshades made in aluminum by artisans who delicately treat metal by applying an ancient technique called hand metal spinning. 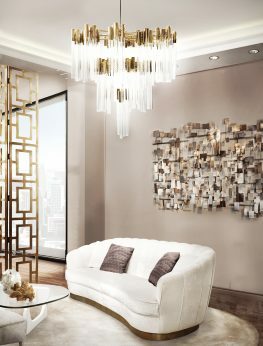 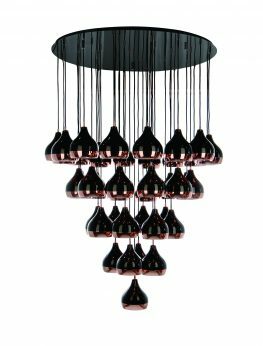 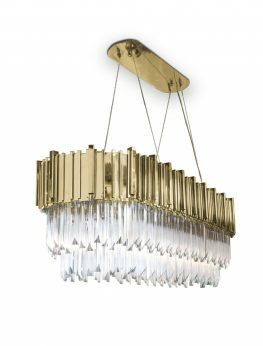 This sleek and elegant chandelier will hypnotize its audience. 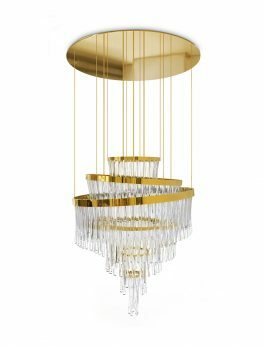 You will become mesmerized as the intricate chandelier coils and bends in golden spirals, weaving itself elaborately within the sharp polished lines of the hexagonal silhouette. 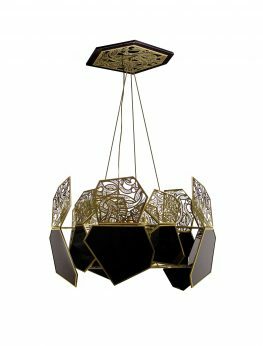 The graceful pattern of cut polished brass details compliments the black glass component of this astounding piece.